Star Trek TNG Mirror Universe Magnetic Badge – AWESOMAGE! Star Trek fans sure are getting a lot of mirror universe action recently. And even if Discovery’s portrayal of the Terran Empire isn’t your thing, it’s hard not to be a fan of IDW’s Mirror Broken comic series, boldly going where TNG has not gone before. 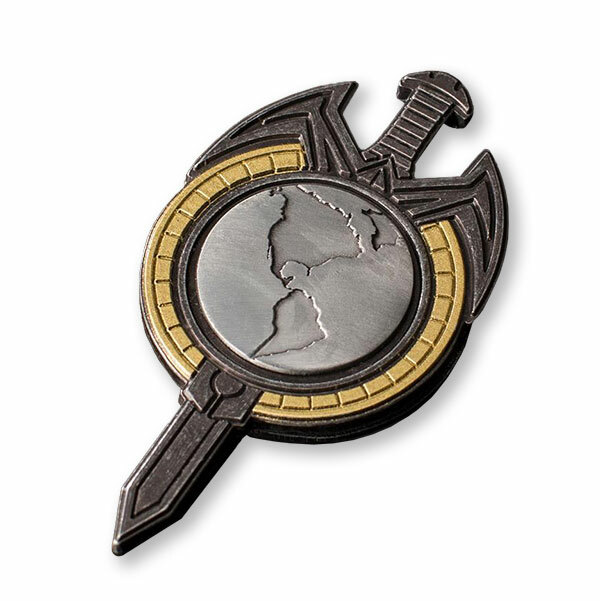 Straight from the version of the Terran Empire created by writers Scott and David Tipton and artist JK Woodward, this Star Trek TNG Mirror Universe Magnetic Badge has everything. It’s metal. It’s got magnets on the back, so you don’t have to stick holes in your uniform. The only thing it doesn’t have is actual combadge functions. Which is good. Look, you don’t want to call the Terran Empire; this is non-functioning for your own protection.